But its only passing through! 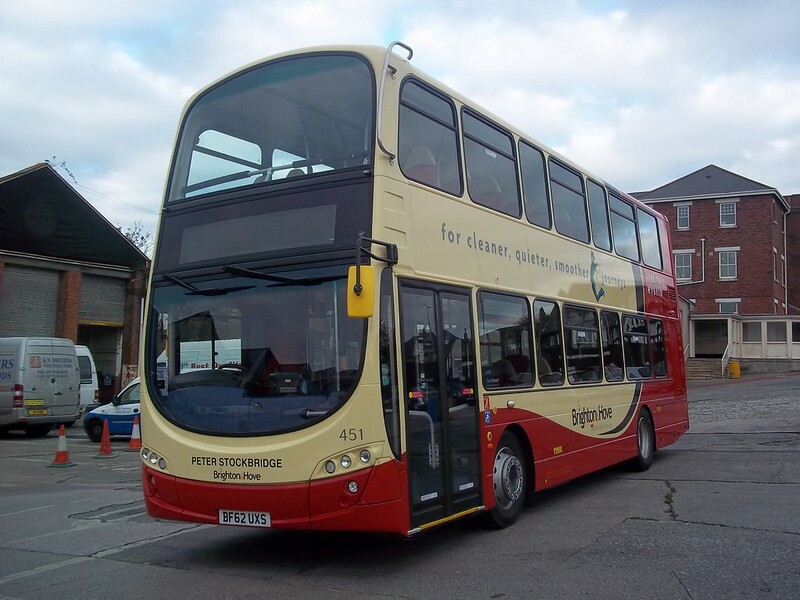 Yesterday saw the Young Peoples Transport Fair held in Plymouth so Plymouth Citybus took the opportunity to pinch one of fellow Go Ahead operator Bright & Hove’s brand new Volvo / Wright hybrid double deckers to show off to the young people. Very nice it is too! 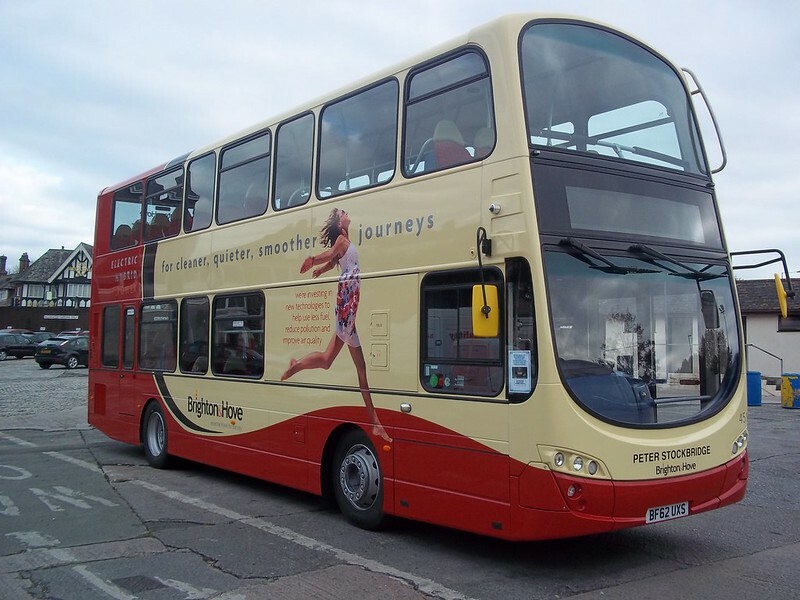 In this instance at least, Brighton and Hove have a livery that includes their advertising message without having to obscure any windows, brilliant literally! Does anyone want to nip down to a Charity Shop and buy a new record for Mr. Anon? The reason being that the one being constantly played by him seems to be most definitely broken.. I am sorry that at least some other enthusiasts feel like this. I like the next contributor just do not think the white “swoop” totally disregarding the windows in the way that it does, looks professional. It gives (to me at least) the feeling that Plymouth Citybus just do not care about how their livery looks or about the comfort of their passengers (customers). But I do sincerely apologise if this is becoming offensive to Plymouth Citybus and or fellow enthusiasts. It is only my own personal opinion and after all Plymouth Citybus are at liberty to do what they want with their property, so I will shut up now! That is a cracking bus with a cracking livery, can we expect these in Plymouth next year? Assuming another order of new buses will be put in for around April? No dis-respect to the individual that came up with the new Citybus livery, after seeing it around town, I just don't think it suits the professional image that Citybus provides, it makes the company look third rate. It's just to bland compared to other Go Ahead subsideries & the Ray Stenning livery, which I'm sure could be tweaked to reduce costs. On a side note, has anyone heard the new tanoi system on 105 that shouts out the next bus stop? Won't last long I hope, got a bit annoying on the 43 last night. The next stop announcements are here to stay. It is a major assistance to those customers with various forms of visual impairment. Having travelled on a couple of the buses myself I would agree taht there appears to be a need to turn the volume down slightly. There is no likelyhood whatsoever of us buying Hybrids in the current economic climate. 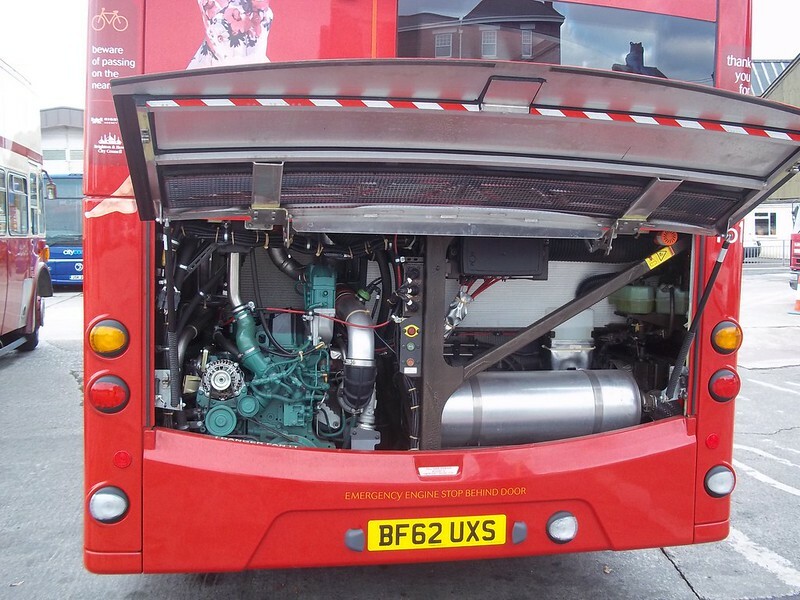 They cost one third as much again as a conventional bus of the same size and whilst there are undeniable fuel savings to be made you need to factor in the three changes of batteries that will be required during the life of the vehicle at around £5000 a time. Fantastic vehicles in Cities that can afford the initial cost or have a City/County Council who part or wholly fund the buses as part of their green agenda. Will there be a nother batch of B7's coming in April Brian? Are the Saltash services paying their way? tannoy system on 105? will have to look out for that! 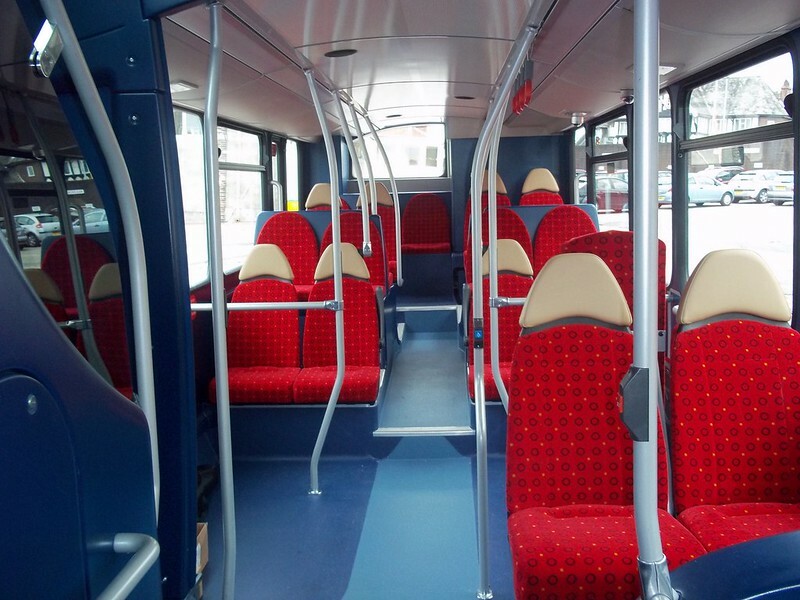 The tannoy systems are being employed to meet disability discrimination legislation, they are primarily for the visually impaired but can be of assistance to non regular bus users. I find it hard to believe that it has taken so long for this to be used in Plymouth, they have been used in London and other big cities for ages.